If your head steady looks like the one on the left then it’ll be mounted to the frame via one of these rubber bushes with a steel tube fitted through the central hole. Usually perished, they can be hard to get out of the frame unless you send it for powder coating when the bush and its central steel tube will disappear without a trace during the powder coat curing process. 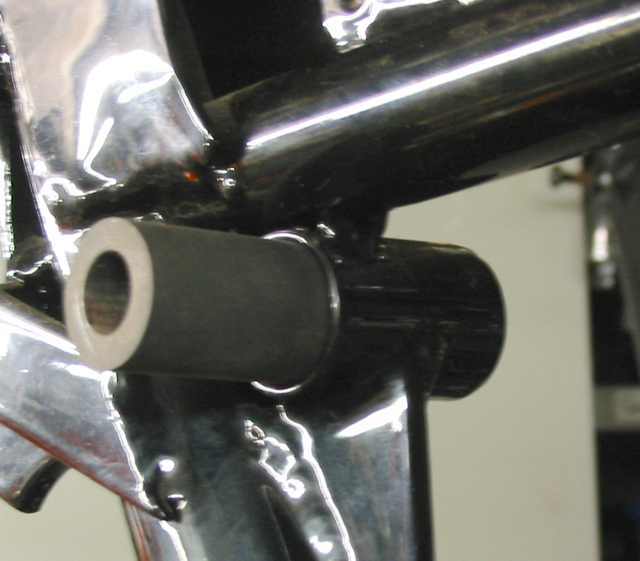 Dig out the old one after salvaging the central steel tube & replace with this new replica bush in 70 Shore Nitrile rubber – after you have powder coated the frame of course!